Dom Ruinart flies under the radar relative to many of its peers, but it is one of the most compelling Champagnes in the market. Among Blanc de Blancs, Dom Ruinart is distinguished by the significant presence of Chardonnay from the Montagne de Reims, which gives the wine its broad shoulders and a level of textural resonance that is quite different from the more mineral and citrus-driven style of other Blanc de Blancs tête de cuvées such as Clos du Mesnil, Salon and Comtes de Champagne. 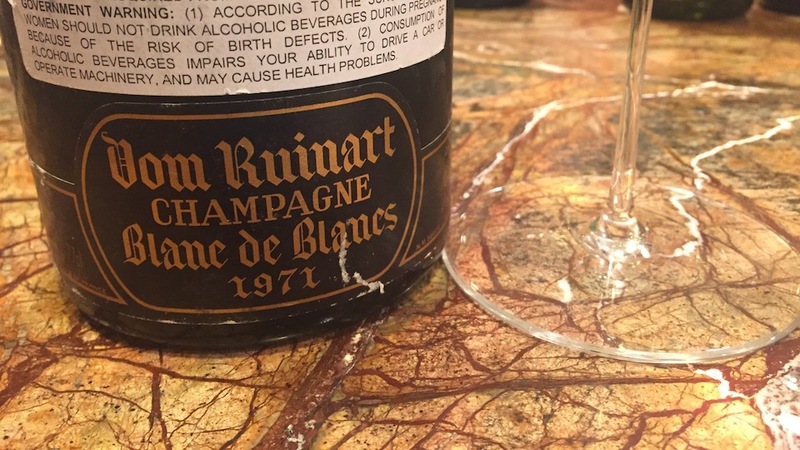 Over the years, I have had the opportunity to taste many vintages of Dom Ruinart, but this recent bottle of the 1971 is quite possibly the most riveting, vivid Dom Ruinart I have ever come across, especially given how exquisitely it has aged. The 1971 Dom Ruinart is simply off the charts. A classic Dom Ruinart built on volume and breadth, the 1971 is arrestingly beautiful. Ash, dried apricot, dried flowers, graphite and honey are some of the many sensations that emerge as this stunning, vinous Champagne shows off its pedigree and allure. Gently mellowed by age and yet remarkably fresh, the 1971 halts all conversation at the table. It is the kind of wine that demands total attention. Even with all of its obvious intensity, the 1971 remains delineated, vibrant and wonderfully nuanced. Frost, hail, a difficult flowering and a hot summer combined to produce rich, powerful Champagnes, the best of which are still fabulous. Impeccably stored bottles, such as this one, show no real signs of fading. What a wine! 97/Drink 2017-2027.